Child-restraint laws vary by state, and Wisconsin's laws governing child restraints, booster seats, and safety belts are a little more stringent than those you might have experienced in other states. Whether you're a first-time parent, doting relative, or caretaker, or traveler to Wisconsin from outside the state, here's what you need to know. 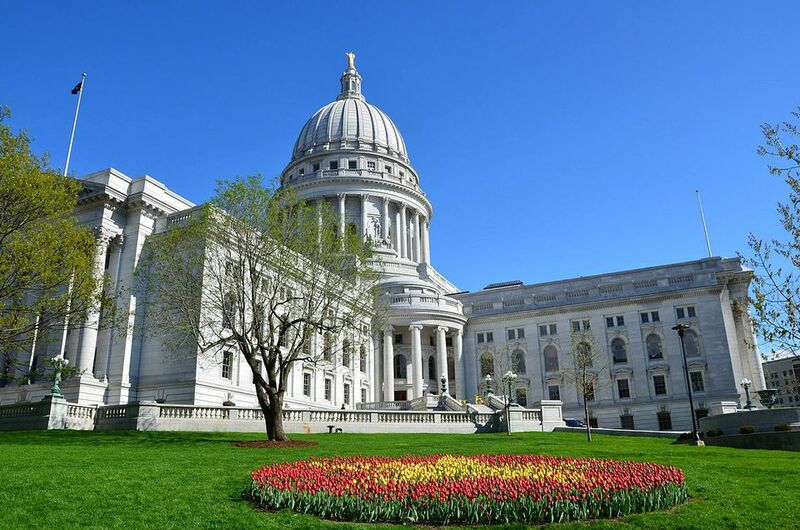 Legislators in Wisconsin are serious about making sure that parents adequately protect children while they are riding in vehicles, whether it's to a nearby neighborhood for the afternoon or a road trip across the state. Follow the law and you achieve two things: Keep children safe and avoid paying a fine. On the Wisconsin Department of Transportation's website is more information; use this as a guideline. Further questions can be addressed to the Division of Motor Vehicles' office in Madison, the capital city, at 608-264-7447 (general driving questions) or 608-266-1249 (safety). Wisconsin state law specifies the following four-step progression of child-safety restraints. Generally, babies younger than 1-year-old must be restrained in a rear-facing child safety seat, children older than 1 but younger than 4 must be restrained in a child safety seat, and kids ages 4 to 8 must be restrained in a child booster seat while riding in a vehicle. These are the specific rules you must follow. A child who is less than 1 year old or who weighs less than 20 pounds must be properly restrained in a rear-facing child safety seat in the back seat of the vehicle if the vehicle is equipped with a back seat. A child who is at least 1 year old and weighs at least 20 pounds but is less than 4 years old or weighs less than 40 pounds must be properly restrained in a forward-facing child safety seat in the back seat of the vehicle if the vehicle is equipped with a back seat. A child who is at least 4 years old but less than 8 years old, weighs at least 40 pounds but not more than 80 pounds, and is no more than 57 inches tall must be properly restrained in a child booster seat. A child who is age 8 or older or weighs more than 80 pounds or is taller than 57 inches must be properly restrained by a safety belt. It is recommended that all children ride in the back seat of a vehicle until they reach age 12. The fine for a safety-restraint violation involving a child under the age of 4 is steep and so it's worth reading up on, and following the rules. Fines increase for subsequent offenses within a three-year period. Car Seat and Booster Seats in Arizona. Here's the Q & A. Does Your Child Need to Sit in a Car Seat in Minnesota?